Kumasi Asante Kotoko will play host to Togolese side, Gomido FC, in an international friendly at the Baba Yara Stadium on Sunday, November 18. Speaking to the Graphic Sports Online on Thursday, the communications director of Kotoko, Sarfo Duku, explained that the club opted for Gomido FC, who just qualified for the Confederation Cup after a planned friendly against Asec Mimosas of Cote d’Ivoire fell through. According to him, negotiations between the two clubs have been concluded and that the game is expected to take place in Kumasi on November 18. He disclosed further that the club was still in talks with other clubs for another international friendly aimed at giving the playing body the necessary exposure ahead of their CAF Confederation Cup first round assignment on the last weekend of November. The match is expected to give both Kotoko and Gomido FC, who will be representing Togo in the 2018-2019 CAF Confederation Cup, the needed test to measure their readiness for the continental campaign. The game will be preceded by a local friendly against Tarkwa-based premiership side, Medeama, at the Sekondi Stadium, Essipon. 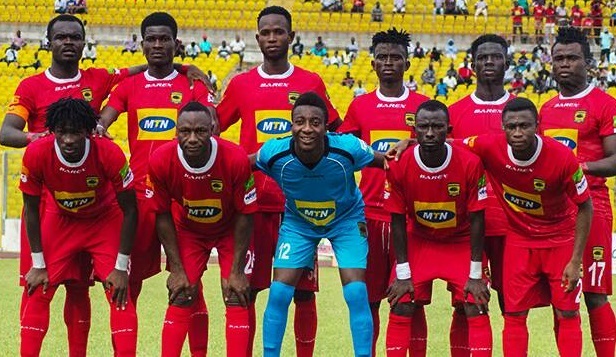 Kotoko, who began a 10-day camping in Takoradi on Tuesday, are due to play their first test match against a local side at Essipon on Sunday ahead of the Medeama game. Coach Charles Kwabla Akonnor will be using the camp to blend the old and new players and also psyche up the players for the next edition of the CAF Confederation Cup, which kicks off on November 27 and 28.